Tom along with his wife, Karen, and daughter, Liz, run a ten acre family farm in Leicester, North Carolina. founded in 1987. Since then they have grown certified organic produce as well as ornamentals, mushrooms, and Christmas trees. The Elmore family operates the farm with the help of a small crew of farm apprentices. They grow about thirty varieties of seasonal produce. A main focus is early season tomatoes and greens. They sell at regional tailgate markets in addition to doing some wholesale. Tom Elmore is a founding member of the Organic Growers School, and a member of the CRAFT network of farmers. 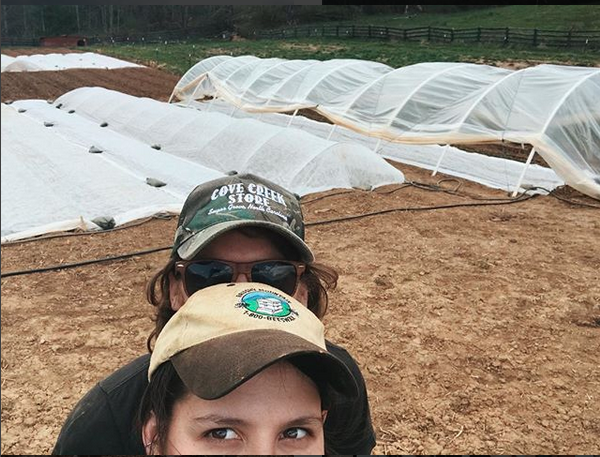 Krista Fayette is co-owner and operator of New Roots Market Garden, a one-acre intensive garden tucked away in the beautiful wilderness of Madison County. 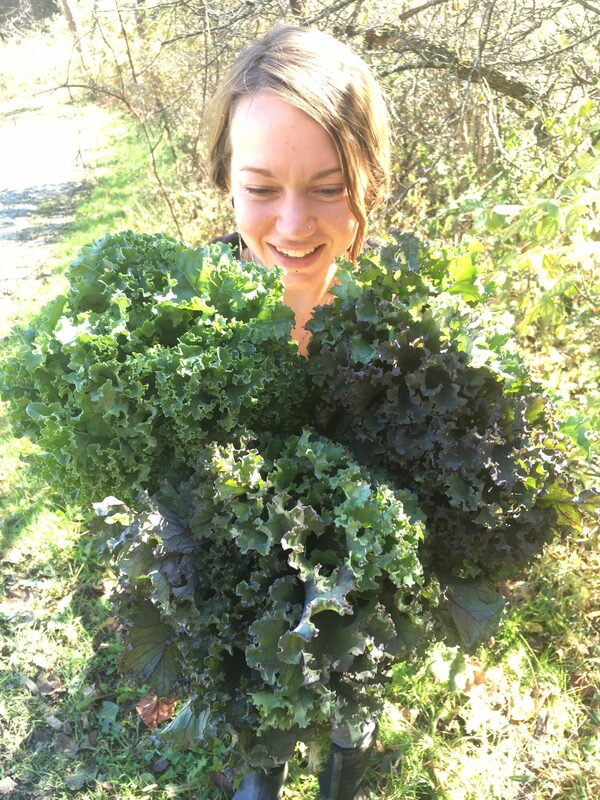 Krista is a graduate of Farm Beginnings® and has a background in art, nutrition, gardening, and yoga. She has always had a passion for the preservation of the natural world that surrounds her. Her talents and compassion make-up New Roots, where she thrives to nurture the land by committing to minimal to no-till practices as well as using zero sprays whether organic or not. She is committed to creating a healthy, well-balanced ecosystem where all creatures can thrive. Krista is excited to share her creativity, ideas and bountiful harvests with her community. Nicole is the OGS Farmer Programs Coordinator. She and her husband Gaelan began their farm Green Toe Ground, a diversified organic farm in Celo, NC in 2001 . They’ve grown the farm over the years, and now manage 16 acres of diversified organic and biodynamic produce and livestock, train farm apprentices each year, and raise their two girls. Originally from NY, she has farmed and worked in education in NC for the last 20 years. 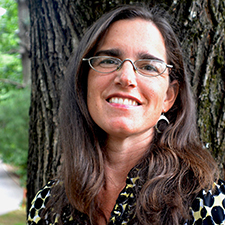 She earned a Bachelor’s Degree in Anthropology from State University at New Paltz in New York, and has a Masters in Sustainability from the Center for Appalachian Studies in Boone, NC. Cameron is the Farmer Programs Director. Hailing from Greensboro, NC with dairy farming in her blood, she has now made her home in Western NC. 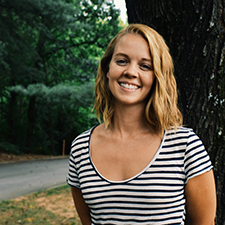 After earning her undergraduate degrees from UNC-Chapel Hill, Cameron dove headfirst into the realm of sustainable agriculture and local food systems, and later completed her Master’s Degree in Appalachian Studies and Sustainable Development from Appalachian State University. She also brings experience in the realms of farmland preservation, food security, farm to university, and land access for farmers. She came on board with OGS in April 2012. In addition to her work with OGS, Cameron is a beekeeper, dancer, baker and avid adventurer.